Hodgson, Alfred T, Hugo Destaillats, Toshifumi Hotchi, and William J Fisk. "Benefits and technological challenges in the implementation of TiO2-based ultraviolet photocatalytic oxidation (UVPCO) air cleaners." Indoor Air 2008. Copenhagen, Denmark: Indoor Air, Paper ID: 297, 2008. 17-22. Jakober, Chris A, Michael A Robert, Sarah G Riddle, Hugo Destaillats, M. Judith Charles, Peter G Green, and Michael J Kleeman. "Carbonyl Emissions from Gasoline and Diesel Motor Vehicles." Environmental Science and Technology 42.13 (2008) 4697-4703. Coleman, Beverly K, Hugo Destaillats, Alfred T Hodgson, and William W Nazaroff. "Ozone consumption and byproduct formation from surface reaction with common materials in aircraft passenger cabins." Atmospheric Environment 42.4 (2008) 642-654. Hodgson, Alfred T, Hugo Destaillats, Toshifumi Hotchi, and William J Fisk. Evaluation of a Combined Ultraviolet Photocatalytic Oxidation (UVPCO) / Chemisorbent Air Cleaner for Indoor Air Applications. 2007. LBNL-62202. Sanongraj, Wipada, Yongsheng Chen, John C Crittenden, Hugo Destaillats, David W Hand, David L Perram, and Roy Taylor. "Mathematical Model for Photocatalytic Destruction of Organic Contaminants in Air." Journal of the Air & Waste Management Association 57 (2007). Weschler, Charles J, Armin Wisthaler, Shannon Cowlin, Gyöngyi Tamás, Peter Strøm-Tejsen, Alfred T Hodgson, Hugo Destaillats, Jason Herrington, Junfeng Zhang, and William W Nazaroff. "Ozone-initiated chemistry in an occupied simulated aircraft cabin." Environmental Science and Technology 41.17 (2007) 6177-6184. Hodgson, Alfred T, Hugo Destaillats, Douglas P Sullivan, and William J Fisk. "Performance of ultra-violet Photocatalytic Oxidation for Indoor Air Cleaning Applications." Indoor Air 17 (2007) 305-316. Jakober, Chris A, Sarah G Riddle, Michael A Robert, Hugo Destaillats, M. Judith Charles, Peter G Green, and Michael J Kleeman. "Quinone emissions from gasoline and diesel motor vehicles." Environmental Science and Technology 41 (2007) 4548-4554. Hodgson, Alfred T, Hugo Destaillats, Douglas P Sullivan, and William J Fisk. "Photocatalytic Reactor System with Tungsten Oxide-Modified Titanium Dioxide for Indoor Air Applications." The 11th International Conference on Ti02 Photocatalysis: Fundamentals and Applications (Ti02-11), September 25-28, 2006. Pittsburgh, PA, 2006. LBNL-60254 Abs. Morrison, Glenn C, Richard L Corsi, Hugo Destaillats, William W Nazaroff, and J. Raymond Wells. "Indoor Chemistry: Materials, Ventilation Systems, and Occupant Activities." Healthy Buildings 2006 Conference, June 4-8, 2006. Lisbon, Portugal, 2006. A-34. LBNL-60291. Singer, Brett C, Hugo Destaillats, Alfred T Hodgson, and William W Nazaroff. 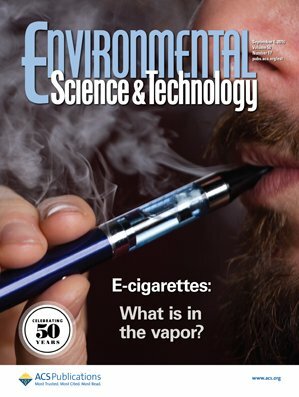 "Cleaning Products and Air Freshners: Emissions and Resulting Concentrations of Glycol Ethers and Terpenoids." Indoor Air 16.3 (2006) 179-191. LBNL-58250. Singer, Brett C, Alfred T Hodgson, Hugo Destaillats, Toshifumi Hotchi, Kenneth L Revzan, and Richard G Sextro. "Indoor sorption of surrogates for sarin and related nerve agents." Environmental Science & Technology 39.9 (2005) 3203-3214. LBNL-54992.